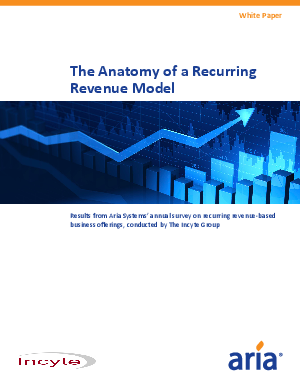 This Report by The Incyte Group summarizes the findings and its investors to better understand the dynamics associated with recurring revenue-based business offerings. The Report was conducted during the summer of 2011 in North America and was based on interactive input from decision makers in more than 3,000 companies. The Incyte Group utilizes analytic methods and tools coupled with relevant financial and market data to help leading technology companies, private equity firms and venture capital groups to optimize their strategic plans as well as the strategic plans of their business units and/or portfolio companies.